After last year&apos;s pizza-denial debate ignited by John Stewart, we almost didn&apos;t touch this subject. He had some valid points. 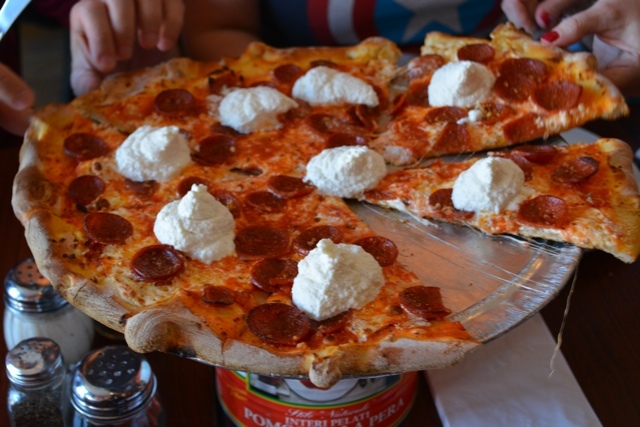 However, pizza is a big part of our lives (weight fluctuation BABAY), and we felt it needed to be further looked into. 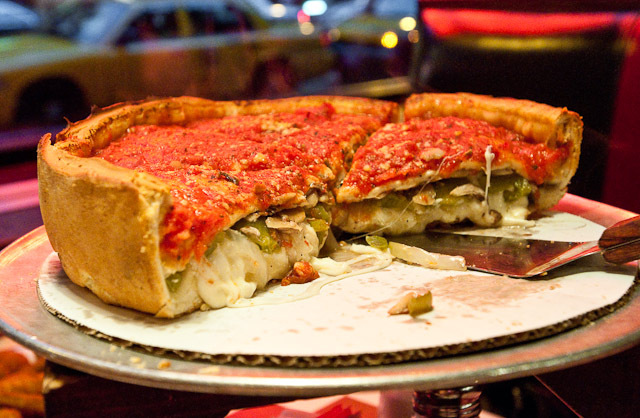 In the city of Chicago, there are four main types of pizza that are laid out on tables for people to devour, while knocking back craft brews from the Mid-West: Deep Dish, Stuffed, Pan, and Thin Crust (Pub and New-York Style are Thin). Let&apos;s take a look at each type of the pies (yes, Gary, our resident New Yorker has gotten me to say pie) shall we? The most successful mom-and-pop places are now major brands that have extended their *deep* hands to outside Illinois. I feel awful not choosing outside of the big chains here, but it is hard to go against the crusts and sauces that the big boys put out. Here are our three for going deep and having a meal in a slice. In case you felt that the deep-dish pizza was already too much to handle, Chicago decided to fill your arteries a little bit more. Stuffed pizza is almost like a quiche (don&apos;t tell them I told you that). You have your base crust layer, usually followed by a thick layer of mozzarella, then another layer of dough, followed by toppings and then sauce. Lately, I feel that most of the big players in this line of work have been putting too much cheese or dough into the mix and not getting the ratios right. 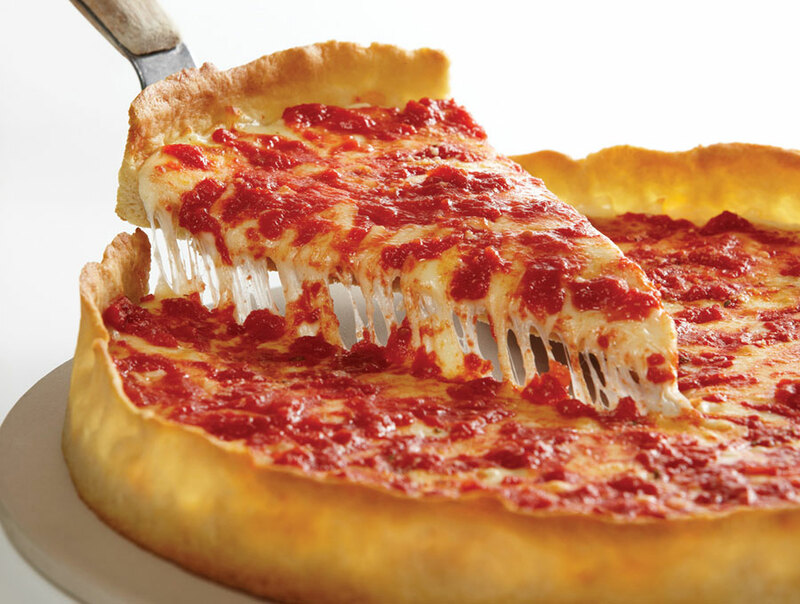 I used to LOVE Giordano&apos;s, mostly because of their sauce and how you could somewhat survive eating their pies. I am only putting one pub/Chicago style thin crust pizza on the list! Why? Because my mother is a New Yorker and would disown me if I added another. Joking aside, I have never been a huge fan of someone squaring my pizza. Armand&apos;s just does it right with their sauce, somewhat of a tang, and they deliver SUPER fast. Also, it was the only Chicago (pub) thin crust pizza that I fully enjoyed. Don&apos;t worry Coalfire; you are always my go-to.  *UPDATE: Everyone has been moved down one with the new Coda Di Volpe, THE BEST PIZZA in Chicago (thin crust wise). SO GOOD. Look, I didn&apos;t want to make you read a full research paper about the pizza, but if we get enough comments, I will update the page. Put a gun to my head and make me choose my top 3 it goes in order of Pequod&apos;s, Coalfire, then Lou&apos;s. They just know what they are doing with a solid list of beers to choose from. 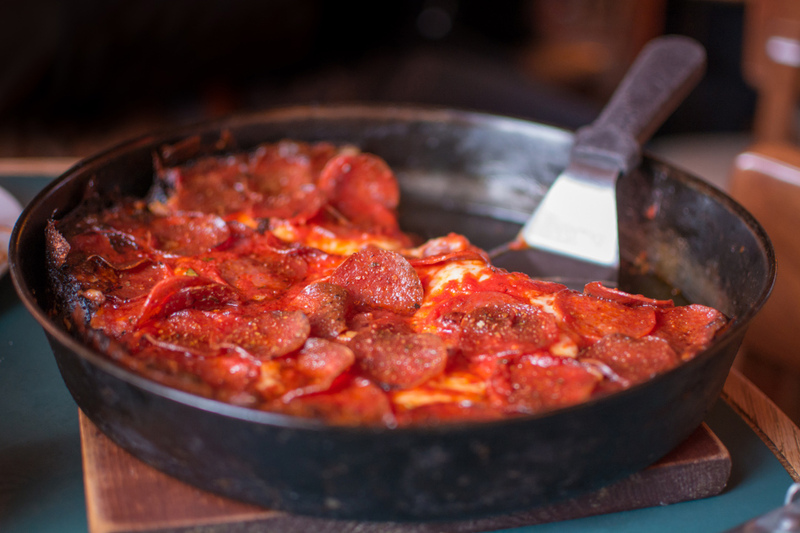 Coalfire comes close, but MAN DO I LOVE PEQUOD&apos;S CRUST! Not a crust fan, go to Coalfire and have some New York style Pizza.